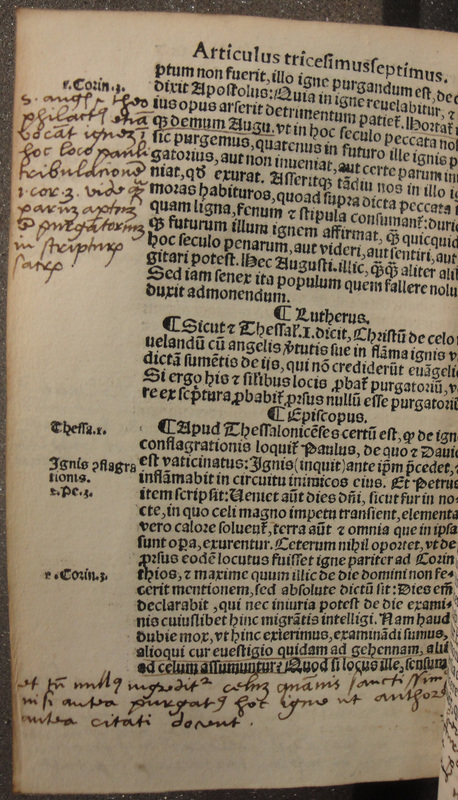 One of the more unexpected discoveries during the research for the pilot project was a volume with annotations in the hand of the man who was Archbishop of Canterbury when Samuel Harsnett was born -- Matthew Parker (1504-75). The main purpose of the Lost Manuscripts Project is, of course, to identify and reunit fragments but, in the process, there is the added benefit of small 'finds' which, though incidental to the project, are interesting in their own right. An example of this involves the printed book, I.d.3, in the Harsnett collection. 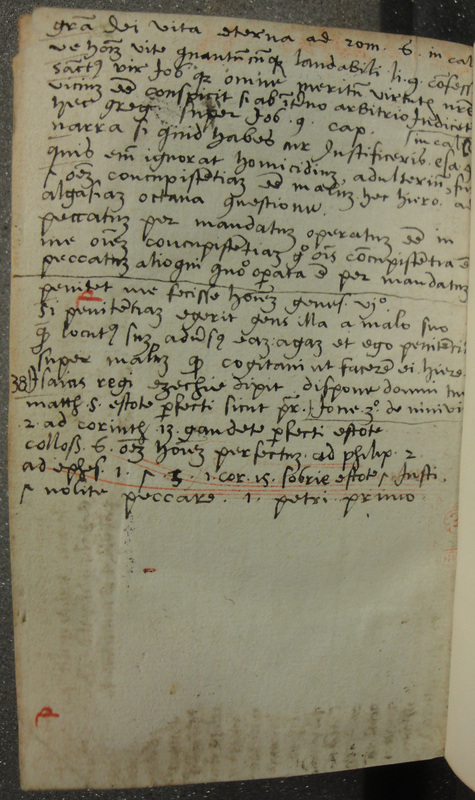 It is included in this database because it has two pastedowns, both from an early fifteenth-century manuscript of Duns Scotus, stuck to the boards with the text at right-angles to the orientation of the book. What makes it all the more notable, however, is that at the top of the back pastedown, a reader has used the blank marginal space to add a reference to a passage in the printed text. It is written in red crayon, in a style and a script instantly recognisable to those acquainted with the English antiquaries of the sixteenth century as that of Matthew Parker. That Parker's style of making notes is so well-known is a function of the fortunes of his large and important library. Born in Norwich, he went to university in Cambridge, being an undergraduate, then fellow and finally Master of Corpus Christi College. In Mary's reign, as a priest with Protestant inclinations and, what is more, married, he had to resign from the Mastership; it appears that he enjoyed his retirement. After Mary's untimely death and the succession of her half-sister, he was reluctant to be drawn back into public life, but Elizabeth's advisors insisted: he was consecrated Archbishop of Canterbury in 1559. Even in the years of his ecclesiastical pre-eminence, he showed a continuing interest in scholarship and in his old university. He was a voracious collector of manuscripts and printed books, and he bequeathed them to Corpus. His notes in many of his books - often in red crayon - demonstrate his assiduous study. Many can now be seen at the wonderful Parker on the Web site, which has digitised all of the medieval manuscripts of Corpus Christi College. 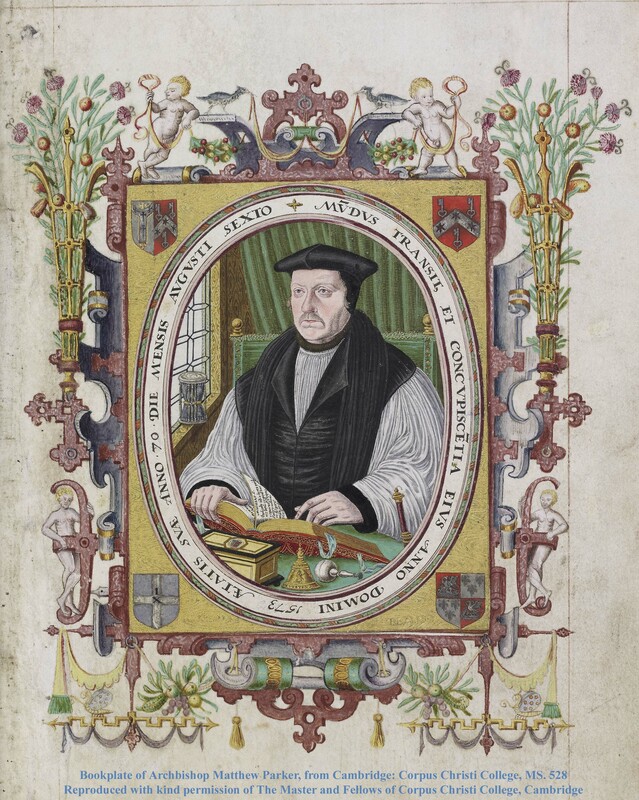 The annotations of Matthew Parker and of his circle of secretaries and assistants are presently the subject of a research project led by Prof. Alexandra Gillespie (University of Toronto). 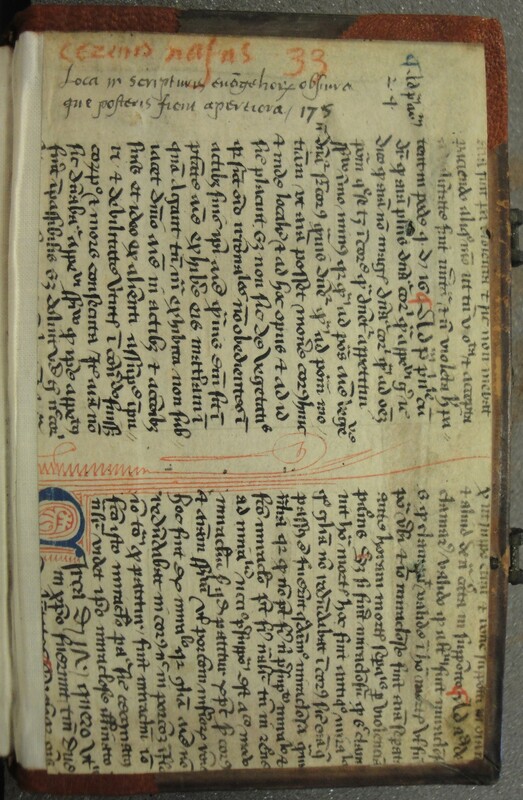 On noticing the red crayon note, the Lost Manuscripts team contacted Prof. Gillespie to inform her and seek her advice on the other marginalia which appear through the book. It is thanks to Prof. Gillespie and her project's researcher, Dr Laura Mitchell, that it is possible now to announce that those notes (images below of fol. 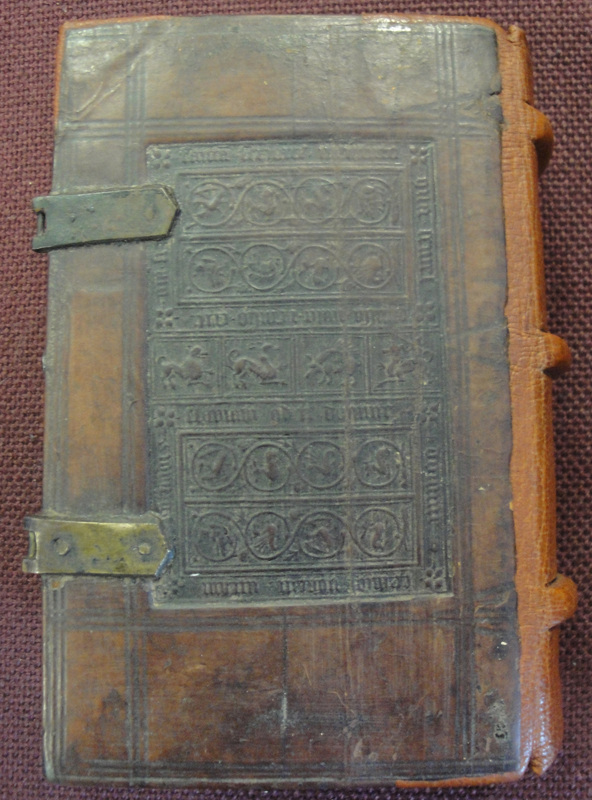 347v and of the verso of the back paper flyleaf) are also by Matthew Parker, and possibly dating from the 1550s. This makes the particular text in which Parker is writing all the more striking: it is a copy of the 1525 edition of his refutation of the doctrines of Martin Luther by John Fisher, bishop of Rochester, who was executed a decade after the publication of this work for his opposition to the Break with Rome. It is far beyond the remit of the Lost Manuscripts Project to provide a close study of this marginalia but, as the example of fol. 347v above suggests, Parker shows a particular interest in engaging with Fisher's arguments and does so with learning and also respect. Other sixteenth-century readers who annotate books in the Harsnett collection - Thomas Wakefield, for example - are ready to argue with text from the margins, but Parker appears here more measured, more thoughtful. Are we seeing the future architect of Elizabethan Anglicanism reflecting upon the English Catholic counter-arguments to Luther in the days of his Marian retirement? There is much more to learn about this volume. It is in an English binding of the mid-1520s, suggesting the copy had arrived in England very soon after the work's publication in Cologne. There is no definite sign of provenance before it came into Parker's hands. What is more, it is unclear why this book was not given, like his others, to his alma mater. As other books reached Samuel Harsnett from Parker's successors as Archbishop of Canterbury, John Whitgift and Richard Bancroft, we might surmise that this book descended from one archbishop to the next. One wonders whether Harsnett who, with his Arminian interests, is himself an interesting owner of Fisher's work, was conscious that he had in his copy of the text witness to Matthew Parker's own study of his refutation of Luther.